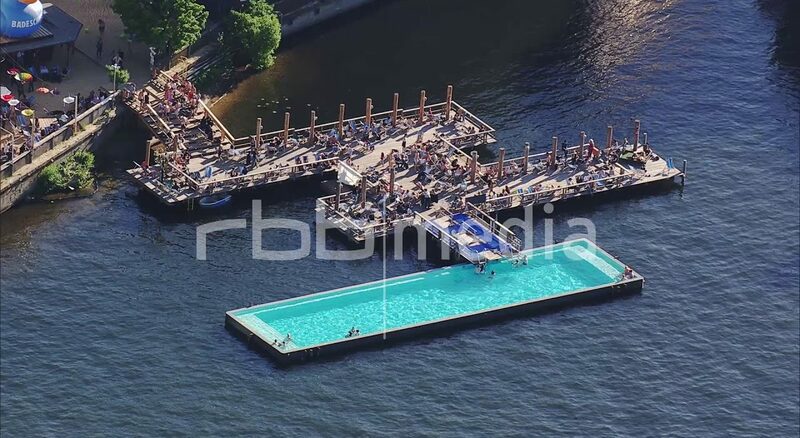 The floating swimming pool “Badeschiff” was designed in 2002 as part of a competition of Stadtkunstprojekte e.V.. It was finally opened in May 2004 in Berlin Alt-Treptow in the middle of the river Spree. The Badeschiff is filled with fresh water and offers a unique panoramic view of the Spree, the TV tower and the Oberbaumbrücke. Since the opening it has been a popular attraction for the summer. Besides the normal bathing activities, visiters can participate in events and courses from May to September.